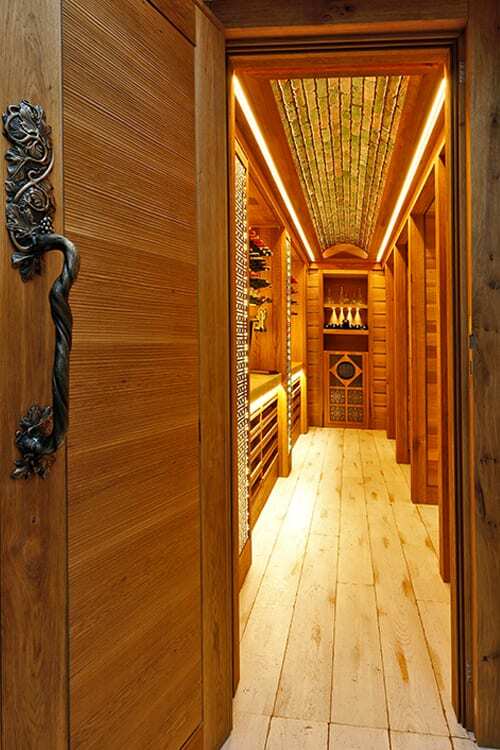 An all-wood cellar sometimes can be found too classic for a contemporary home interior. 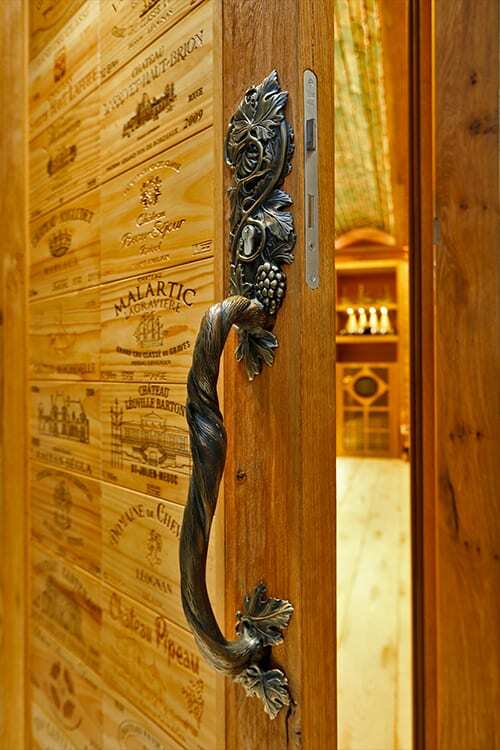 Still, the warmth of wood is something that most wine enthusiast want to have for their wines. This is where FWC comes in to carefully pick and design materials to “lighten up” the cellar. In this case, the classic oak wood is combined with two large panels of backlit onyx where wine bottles are arrayed with bronze pins. Bordeaux or Burgundy, these pins can hold regular 750ml bottles as well as magnums. For the rest, the drawers under the onyx counter offer flexible storage space for various sizes. The very large formats like Jeroboams and Imperials can be stored at the very end of the cellar, on the shelves above the cooling unit, or standing up on the counter. 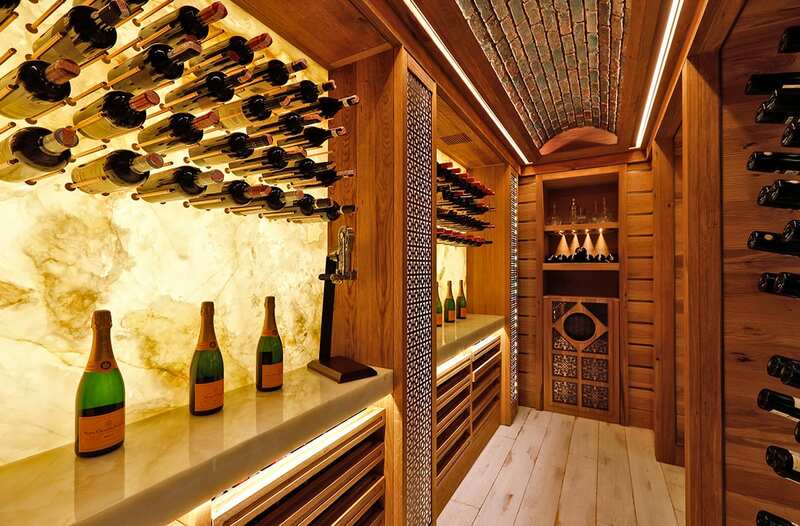 Just like sparkling wine… Stained white oak on the floor, bronze covered brick vault with concealed lighting and the ornamented light boxes between the onyx panels further light up the cellar.